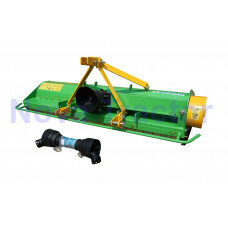 EF-series - for working widths from 95cm/37inch to 175cm/68inch. Free shipping to any location within the lower 48 states (or continetal U.S.). Alaska, Hawaii & Canada Require a surchage ! 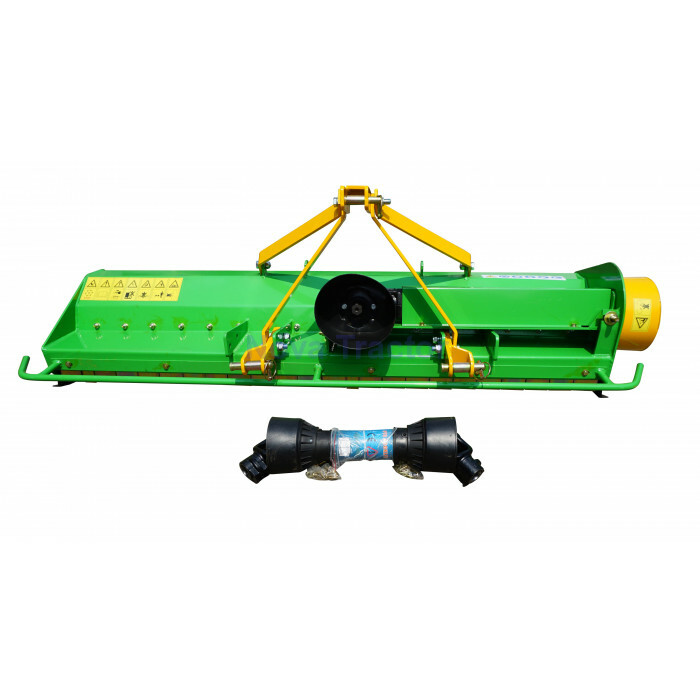 Flail mower for small and medium tractors with 15hp to 40hp with CAT I. 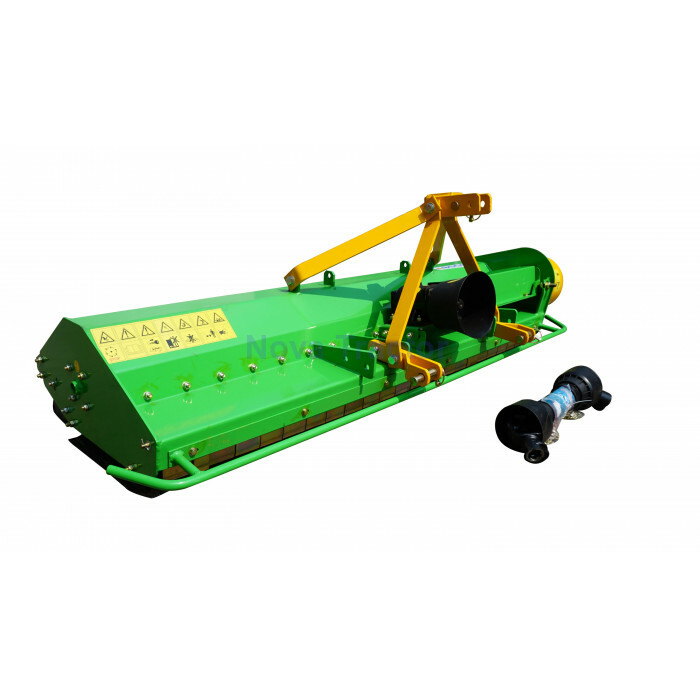 3-point hitch. 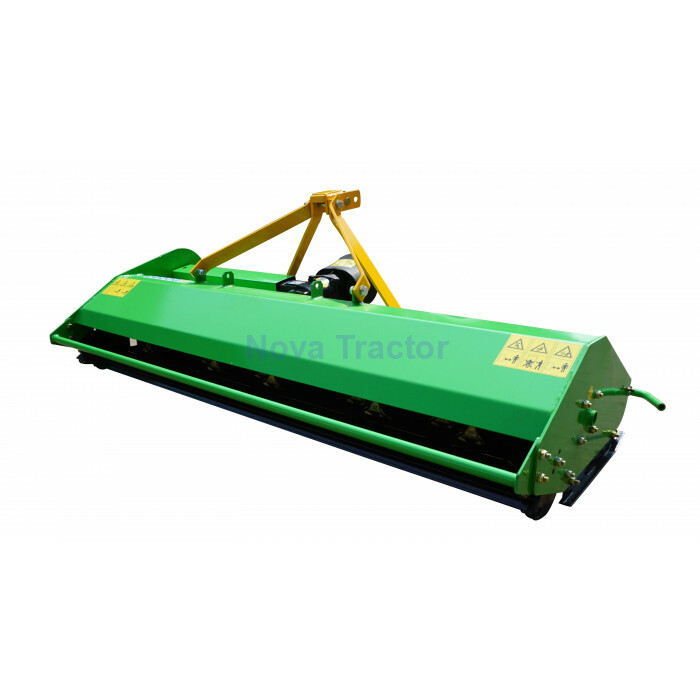 The Nova EF flail mower series is ideal for tractos with 15 to 40hp, up to 40cm/15inch grass height. Nova EF has a reinforced transmission making it the perfect choice for maintaining large fields, plantations, wine yards or horse paddocks. With available working widths of up to 175cm/68inch Nova performance EF mowers will help you to find a perfect match for your tractor and the job you need to do. Nova EF use 20 to 30 large, forged and galvanized high performance hammer knives (depending on working width) - each with a weight of 400gram/0.88lb - that ensure a perfect mowing result on grass. Forged flail hammer.Nova EF is with forged and galvanized high performance hammer knives, each weight is 400gram/0.88lb. Heavy duty front flaps. 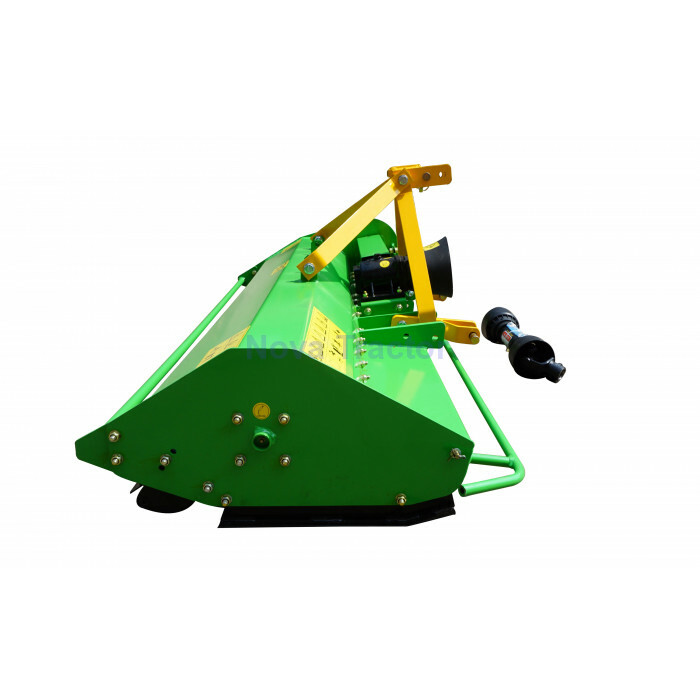 The mower´s front is equipped with heavy duty safety flaps to prevent debris and stones being thrown out of the machine. Wooden packing box. The completely assembled machine is delivered in the massive Nova wooden boxes. 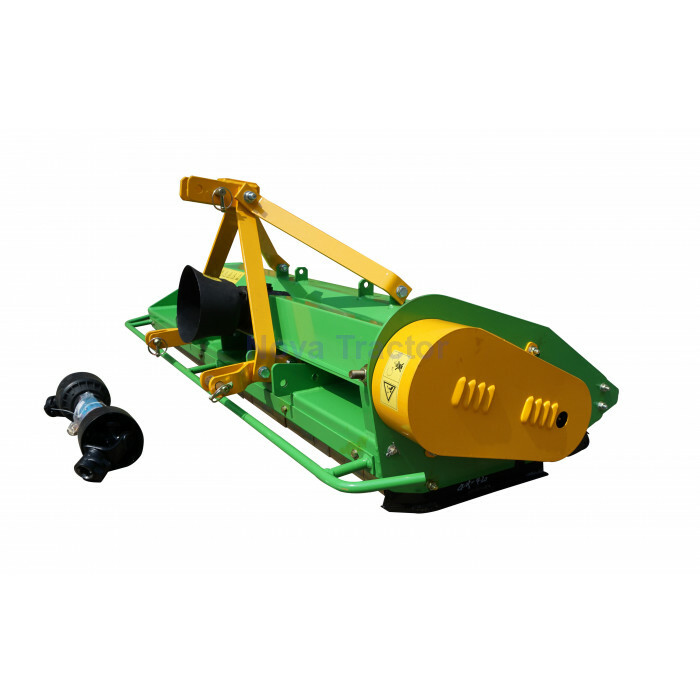 Just the improved Cat-1 3-point hitch (Cat-2 bushings is optional) and the front and rear safety bar have to be assembled, taking you less than 30min. 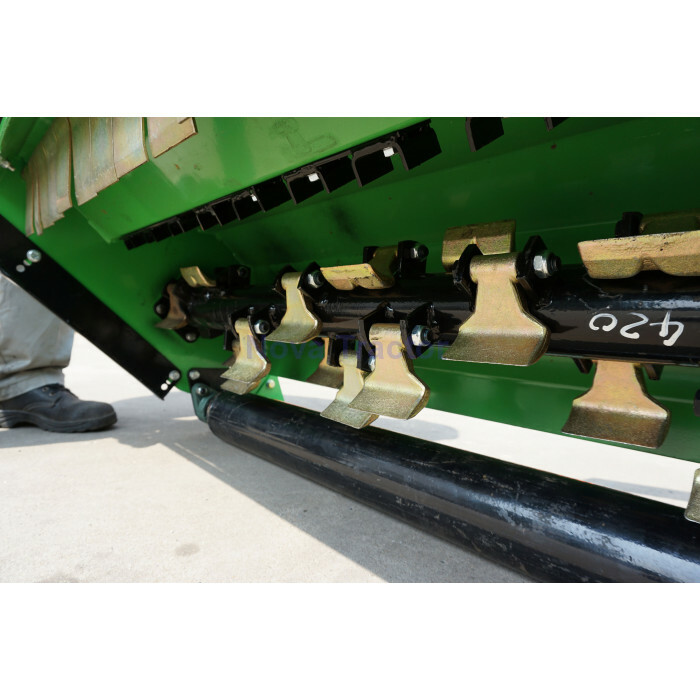 We offer an assembly guide with photos to assist you. Electronically balanced rotor. 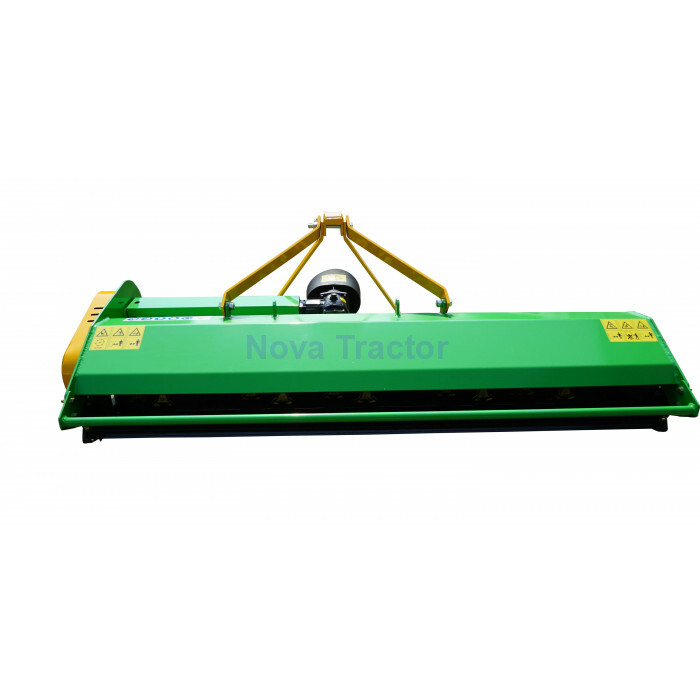 Like all other Nova mowers, the EF series has an electronically balanced rotor shaft which is driven by 2 or 3 belts depending on the working width. 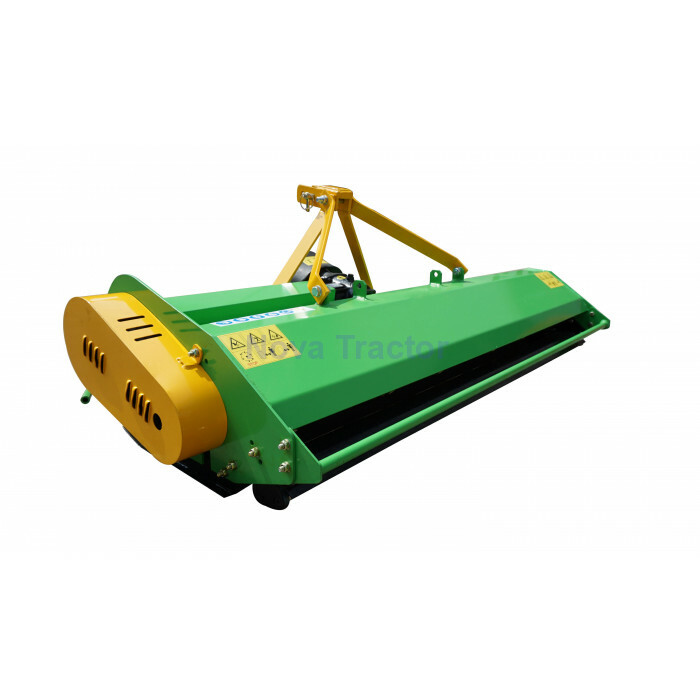 Despite the high flail hammer knife weight of 0.88lb each, this guarantees an almost 100% power transfer rate with virtually 0% belt slippage. The new Nova belt cover is unique in the EF mower class. The correct belt tension can be checked within seconds without having to remove the belt cover. This makes service and maintenance a lot easier than before.The heavy free-wheel gear box runs in an oil bath, so the transmission oil has to be filled up before you first use the machine. 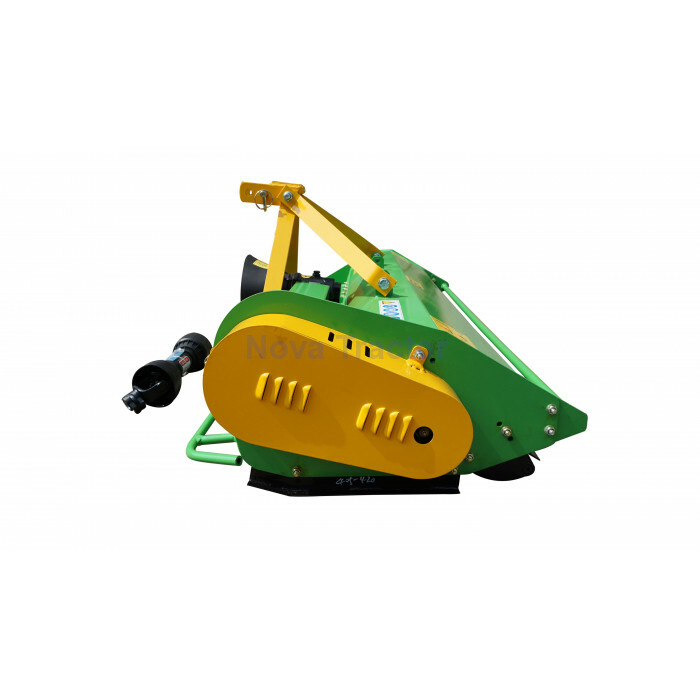 Partially assembled machines do not contain any fuel , oil or other fluids or grease needed for operation ! BEFORE USING THE MACHINE please carefully read the English user manual.